I like whipping up stuff in the kitchen. I was a few months pregnant with Choi when I discovered the therapeutic wonders of cooking. There is a certain satisfaction and sense of accomplishment that comes with being able to cook a hearty meal for my family. And then, that happy feeling you get when you see your whole family devouring the little feast you whipped up. I started my cooking journey with simple recipes. Afritada, sinigang and the likes. Then, I set out to try complicated ones like Kare-Kare, Mechado & Pastel. There's also one other kitchen staple that my family and I have that I am proud to have discovered can be made into simple yet tasty recipes - sardines! 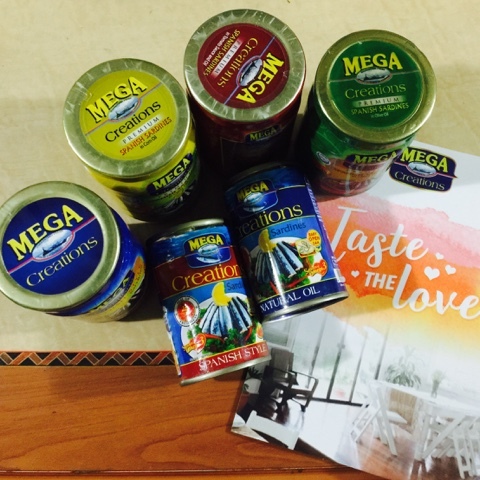 Let me introduce to you guys, the exquisitely tasting, mouthwatering premium oil-based sardines of Mega Creations! 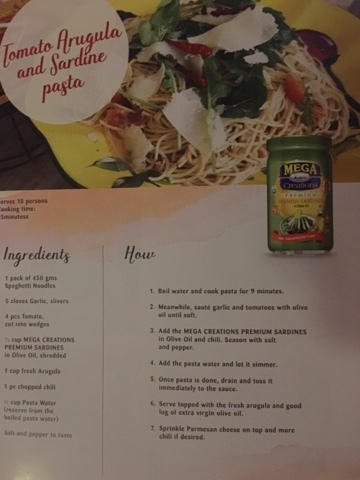 These exquisite Mega Creations come in four unique bottled collections - Premium Spanish Style, Tomato Sauce and Oil, Corn Oil and Olive Oil. Of course, there's the easy-open canned versions in Natural Oil and Spanish Style. 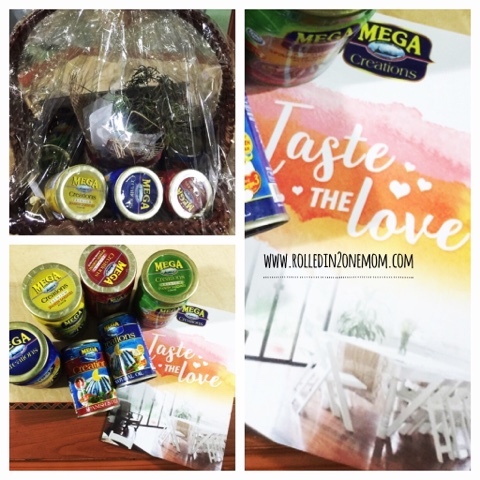 Of course, to give #MegaMoms a taste of the divine recipes that can be made from Mega Creations sardines, Chef Gin Gallegos-Bagis invited Mommy Bloggers to Pio's Kitchen to experience and taste first-hand these said recipes! 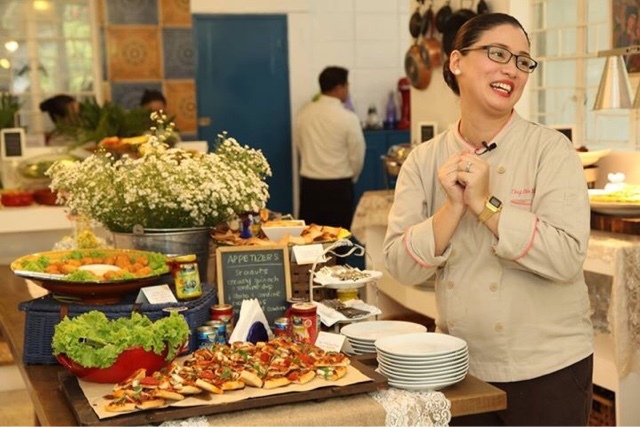 If there's one thing I would always remember from Chef Chin is when she said that "Food is the heart of every home. 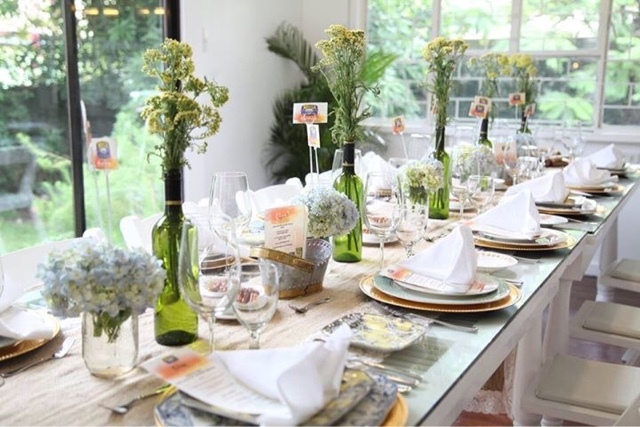 It is when we are all gathered around delectable dishes, eating and sharing stories with families and friends that strengthens our bond together. What really makes food special? If we go back the meals made by our parents and grandparents. Memories of warmth and nostalgia would come into play. 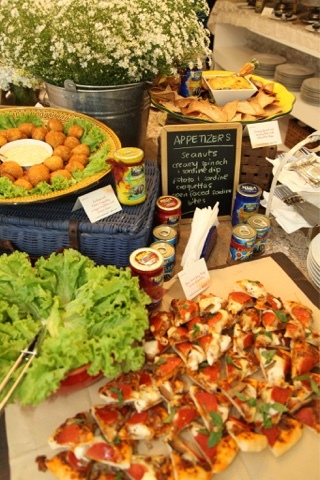 We feel the care they put into every dish which makes for the most important ingredient - LOVE!" I couldn't agree more! 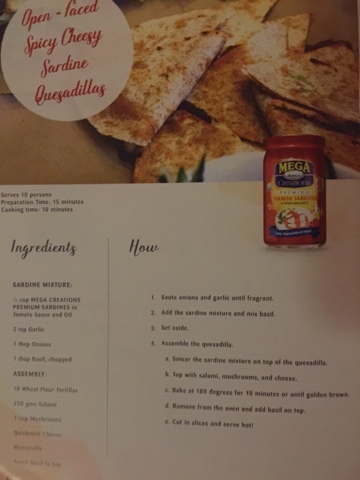 And these "easy-to-prepare recipes" that Chef Chin shared can now be brought to our tables with the help of Mega Creations Premium Sardines. 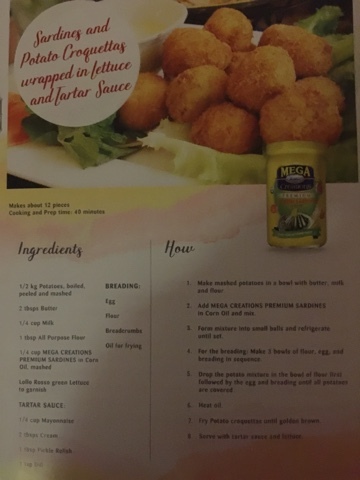 Don't you just love how easy to prepare all Chef Chin's recipes are? 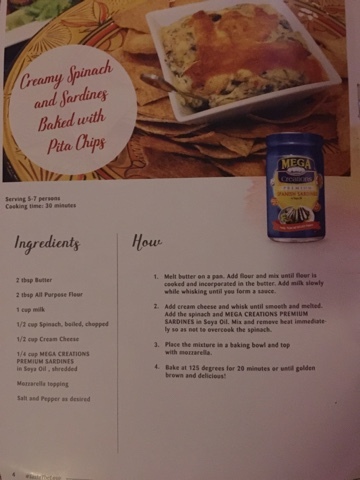 Well, to us #MegaMoms - every recipe is easy given the perfect ingredients, right? Yes, there are a million ways we can express love in our homes, and one of those is by creating dishes that are cooked with love and care in mind. Mega Creations offer just that - every bottle are made with only the freshest catch that has gone through Mega Sardines' signature 12-hour catching-to-canning process. Every piece of sardine is especially handpicked to select the perfect size and ideal quality. Combines with exceptional oils and ingredients, which assures divine dishes in the kitehen! My dear readers, I would've loved to share photos of my own versions of the divine recipes but honestly? My family decided to eat them fresh out of their jars for breakfast, merienda and dinner! That's how good they are! And they are available in all leading department stores, nationwide!